Rice is one of the most important foods in the world. As the demand for rice continues to increase, there is an urgent need to increase yields in the face of such challenges as climate change, threats from pests and diseases and the need to make cultivation more resource-efficient and sustainable. Drawing on an international range of expertise, this collection focuses on ways of improving the cultivation of rice at each step in the value chain, from breeding to post-harvest storage. 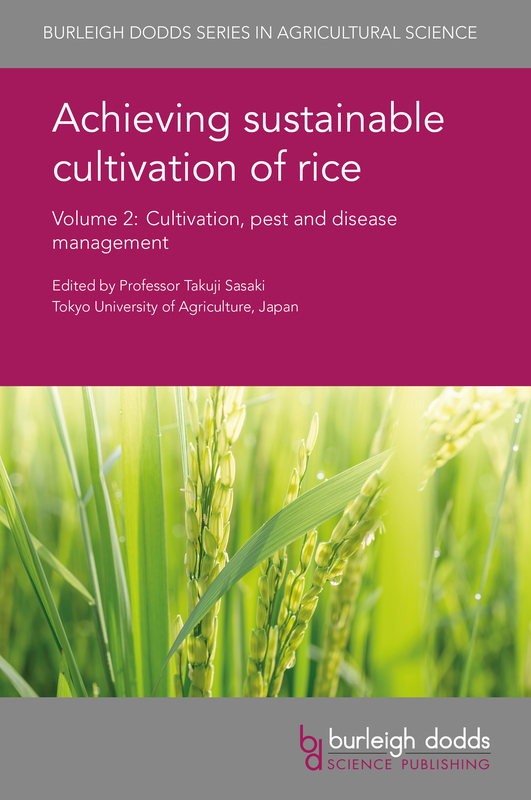 Volume 2 reviews research in improving cultivation in such areas as irrigation and nutrition as well as developments in disease and pest management. Achieving sustainable cultivation of rice Volume 2: Cultivation, pest and disease management will be a standard reference for rice scientists in universities, government and other research centres and companies involved in rice cultivation. It is accompanied by Volume 1 which reviews research in breeding, nutritional and other aspects of rice quality. "Rice feeds half the world population. Production of rice must continue to increase at the rate of one percent a year to maintain food security. This will require varieties with higher yield potential and better management practices. This collection summarizes the latest technologies for genetic improvement of rice and for its management under diverse environments. It will serve as standard reference for rice scientists."